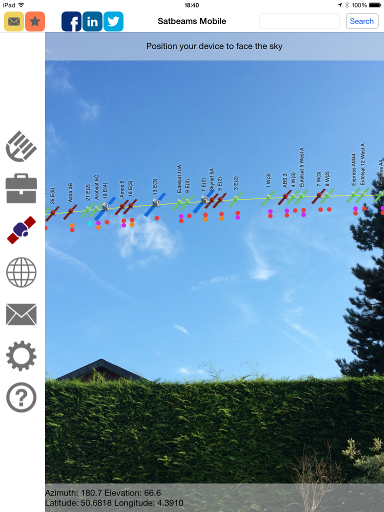 SatBeams - Satbeams goes mobile! 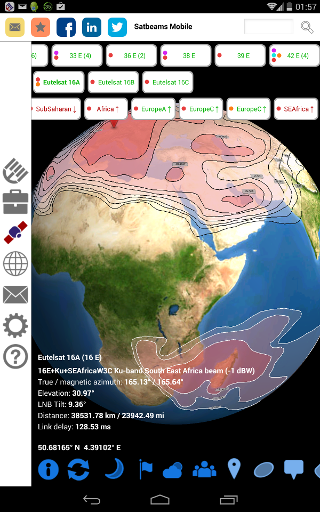 Satbeams features mobile application that includes offline satellite footprints browser, dish alignment calculator and AR Sat Finder combined in one tool for your tablet or smartphone! Full offline mode - take it everywhere! No need of the data roaming connection to access the satellites and footprints data (you will need connection to internet just to get the application updates). * We have decided to change the pricing policy and set the application price to 10 Euros annual fee. Should you find any problems with the application please do not hesitate to contact us.